Looking for a Used Crosstrek in your area? 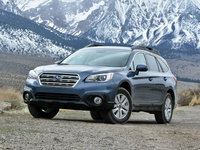 CarGurus has 13,948 nationwide Crosstrek listings starting at $13,900. Subaru adds Starlink and new safety features to the Crosstrek while dropping the confusing "XV" from its name. The Crosstrek gains features and loses some letters for 2016, adding the Starlink telematics suite and safety features such as blind-spot monitoring, rear cross-traffic alert, and lane-departure alert, while dropping the "XV" from the front of its name. To keep things fresh, it also gets a front-end restyle and some interior tweaks, but it’s the powertrain that really holds back this compact crossover. The "XV" at the front of the Crosstrek’s name has been a mystery for a lot of American buyers, but back in Japan it’s always been known at the Impreza XV, based as it is on that car’s platform. It’s long been a winning formula for Subaru: take a stout sedan, raise the suspension, and add some gray fender flares. Instant off-road crossover. With the Crosstrek, that means you get some very interesting benefits. For instance, the Crosstrek sports massive ground clearance of 8.7 inches combined with the lowest center of gravity in the class. This confusing combination means you’ve got an agile crossover with some actual off-road capability. Last year, the Crosstrek got a new base trim - the 2.0i, which comes very well equipped with 17-inch alloys, a tilt-and-telescoping steering wheel, a rear-view camera, fog lights, a 6.2-inch touchscreen with smartphone integration, and a USB port/Aux input. For $21,595 it’s a lot of vehicle for not a lot of money. Moving up to the 2.0i Premium adds $800 to the MSRP, but for that you’ll walk away with heated, body-color mirrors, heated front seats, an upgraded stereo, and interior enhancements like contrast stitching, a leather-wrapped steering wheel and shift knob, an adjustable center armrest, and a cargo cover and tray. My week with the Crosstrek was spent in a 2.0i Limited trim, which benefitted from the previously mentioned new safety features and Starlink, upgraded gauges and infotainment with a 7-inch touchscreen and satellite radio, auto climate control, auto headlights, leather, and an acoustic windshield. Unfortunately, it’s noise from the powertrain that’s the big issue here, and the windshield doesn’t do much to quiet things down. Fitted with the optional moonroof, navigation, the Eyesight safety system, and keyless access and push-button start, the $25,095 MSRP was increased by $2,895 plus $850 for delivery for a total of $28,840. When it comes to metrics like handling, hauling, and even off-road capability, the Crosstrek does very well, especially for a compact crossover. It’s got the most ground clearance in its class, the lowest center of gravity, and pretty good storage. Unfortunately, it’s the powertrain that really falls flat here. The Crosstrek's 2.0-liter boxer engine comes with a 5-speed manual as standard on the 2.0i and 2.0i Premium trims, and it does its best to make the most of the sparse 148 hp and 145 lb-ft of torque the engine produces. Optional for the Premium and standard for the Limited trim, a continuously variable transmission (CVT) struggles to put power down at highway speeds and offers aggressive delivery through the pedal at low speeds. While speed isn’t generally a concern with a compact crossover, here it becomes a borderline safety issue, with highway passing and merging requiring plenty of planning. 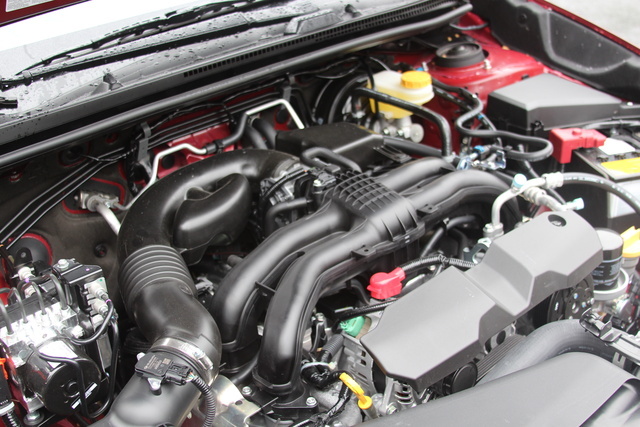 Besides that, the powertrain is very loud and exhibits the worst of the “rubber band” qualities that can plague CVTs. 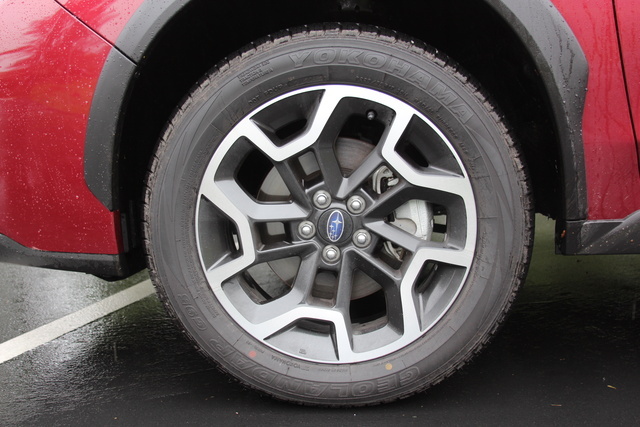 Additionally, while Crosstreks with the manual transmission get the typical symmetrical all-wheel-drive (AWD) system with a 50/50 power distribution, CVT-equipped trims use a different system that offers a front-wheel-drive-biased system capable of delivering additional power rearward when traction deems it necessary. To be fair, most wouldn’t notice the difference, but it bears mentioning. Acceleration isn’t very impressive with a 10-second 0-60 time, but the CVT does a good job of improving efficiency, adding 3 mpg on either end of the spectrum to the manual’s rating of 23 mpg city/31 highway. With off-road capability, on-road handling, and overall hauling ability at the forefront of crossover capability and function, the Crosstrek is able to hang with any of its competitors. But with 22.3 cubic feet of storage in the rear expanding to 51.9 with the rear seats folded flat, it’s far from the front of the class. For comparison, the RAV4 offers 38.4 and 73.3. 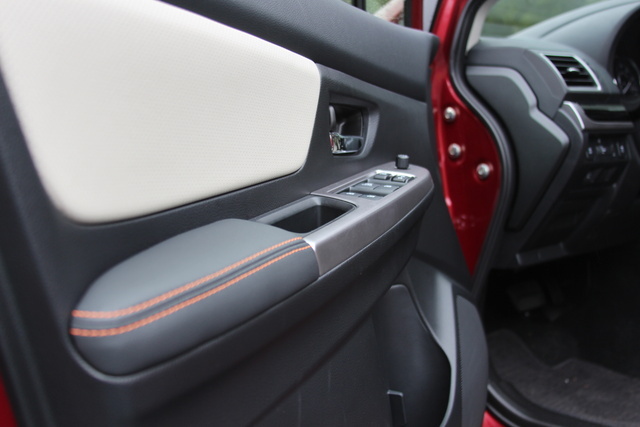 Interior design seems an upgrade from many Subaru offerings, with soft-touch surfaces nearly everywhere and rugged interior materials that are weather and stain resistant. For 2016, the Crosstrek also gets an upgraded steering wheel for all trims, a thicker, grippier option with thumb holds. It’s a really nice improvement in one of my favorite places and a point of contact. Other than that, there are some interior issues. Headroom up front is a bit sparse, especially with the optional moonroof, and the seats lack a lot of support and bolstering, being much too narrow. I also found the adjustable center armrest far too adjustable, as it would slide forward during braking or when looking over my shoulder to check blind spots, a failing common to many current Subaru offerings. 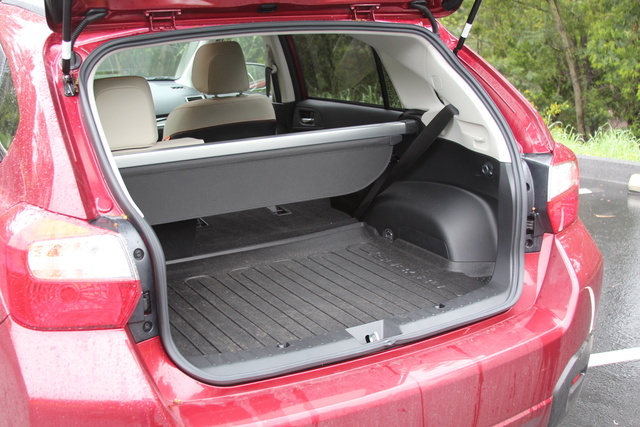 Those critiques aside, the Crosstrek is easy to drive and park around town and has a 17.4-foot turning radius and an easily accessible rear storage area, which makes packing and unpacking much less of a hassle. Finally, I love the moonroof. It changes the entire feel of the car, brightening up the interior and generally making it a more pleasant place to spend time. Even with the headroom penalty, I’d still click that option. 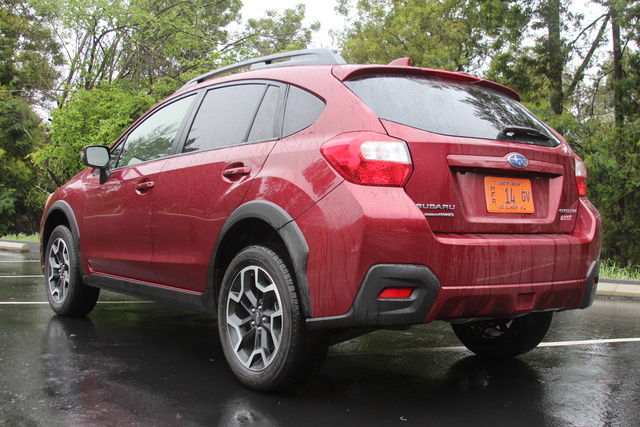 This is where the Crosstrek really got some attention for 2016. With the addition of the Starlink suite, the Crosstrek now has automatic collision notification with SOS, stolen-vehicle recovery, and even a monitoring app included. The standard 6.2-inch touchscreen isn’t bad, but the 7-inch system is a welcome upgrade, even if the accompanying navigation system isn’t the best out there. The same can be said for the rear-view camera. It’s wonderful that it’s included even in the base trim, but it has one of the lowest resolutions of any system I’ve tested. The Eyesight safety system offers a similar combination of utility and frustration. Adding features like rear cross-traffic and blind-spot monitoring as well as lane-departure warning is a great way to increase value for money, but I’ve not been impressed with the application. 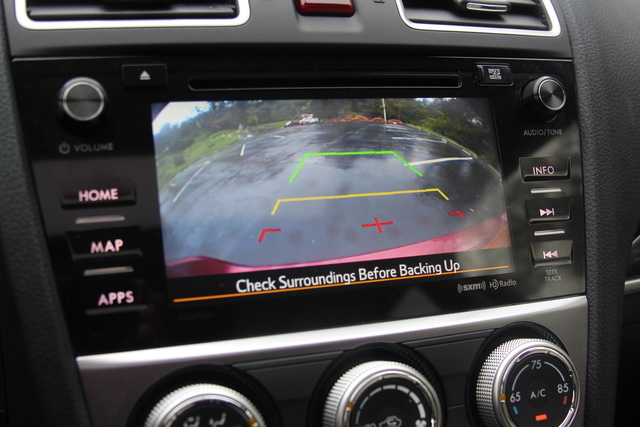 The Eyesight system is optical, applied via stereo cameras mounted behind the rear-view mirror. As such, they can be disabled when the view is blocked via direct sun, fog, mist, dirt, snow, or mud. I’ve driven several Subaru models with Eyesight over the years, and every one of them had the system shut off several times over the week when encountering such conditions. Unfortunately, that’s exactly what you don't want from your safety system. Ignoring the limitations of the Eyesight system, the Crosstrek has scored very well in crash tests. Both the National Highway Traffic Safety Administration (NHTSA) and the Insurance Institute for Highway Safety (IIHS) awarded the Crosstrek top marks in all tests, with only the NHTSA’s total frontal impact test receiving anything other than a perfect score, rating 4 out of 5 stars. The Crosstrek comes with all the standards of 4-wheel antilock brakes, traction and stability control, and a full suite of airbags including front side, curtain-side and a driver knee airbag, plus non-standard features like the rear-view camera and active front head restraints. One final and slightly disappointing note: the Crosstrek’s 60-0 performance brings it to a stop in a lengthy 125 feet, which is especially confusing considering the heavier hybrid version will best that by more than 5 feet. The Crosstrek is one of the lower-priced options in the segment, and with what you get for the attractive entry price, it becomes a very competitive option. However, the limitations of the powertrain significantly hurt the attraction, almost to the point of destroying any potential recommendation. More than that, reliability reports for the Crosstrek have placed it average at best, which isn’t the best way to comfort concerned consumers. That said, Subarus have traditionally enjoyed better-than-average value retention, something that is sure to continue into the future. Plus, Subaru is currently holding a spring financing promotion, offering lowered APR rates when you go through Subaru Motors Finance. 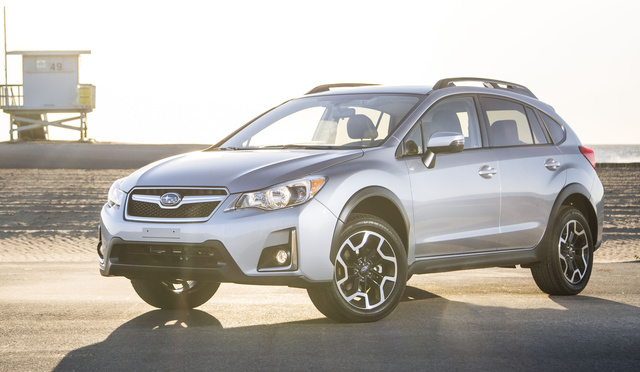 What's your take on the 2016 Subaru Crosstrek? 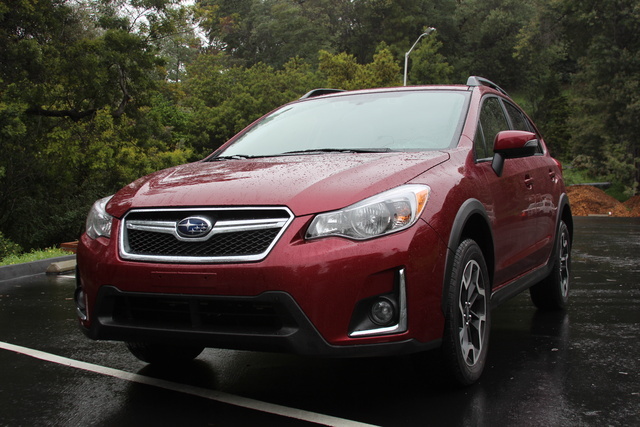 Users ranked 2016 Subaru Crosstrek against other cars which they drove/owned. Each ranking was based on 9 categories. Here is the summary of top rankings. Have you driven a 2016 Subaru Crosstrek? My Crosstrek has 40k miles, I brought it in for a routine oil change and had to replace my rear brakes, I thought the front brakes wore 1st, is this unusual? Will warranty transfer to new owner on a 2014 Crosstrek with 68k miles? What conditions apply? Is Subaru Crosstrek oil pan made of steel? I mean if I use magnetic oil pan heater will it stick to it?